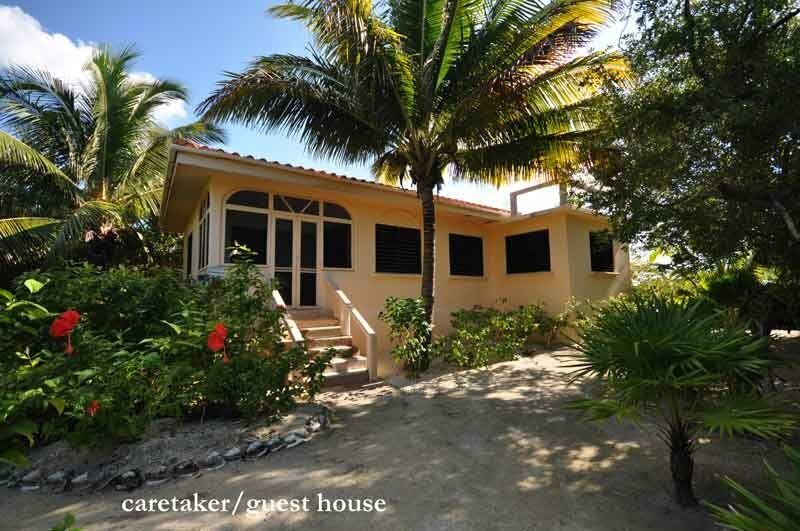 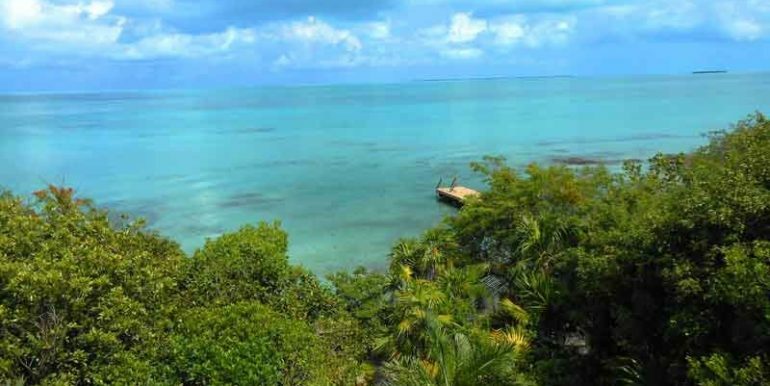 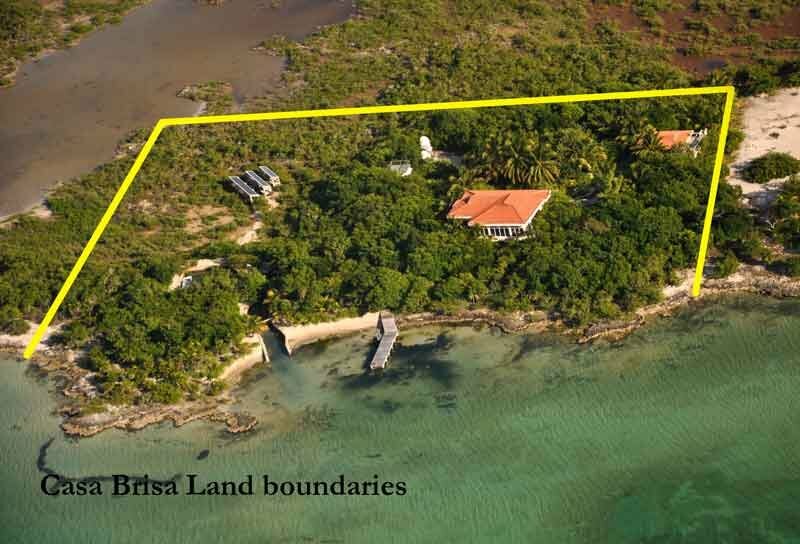 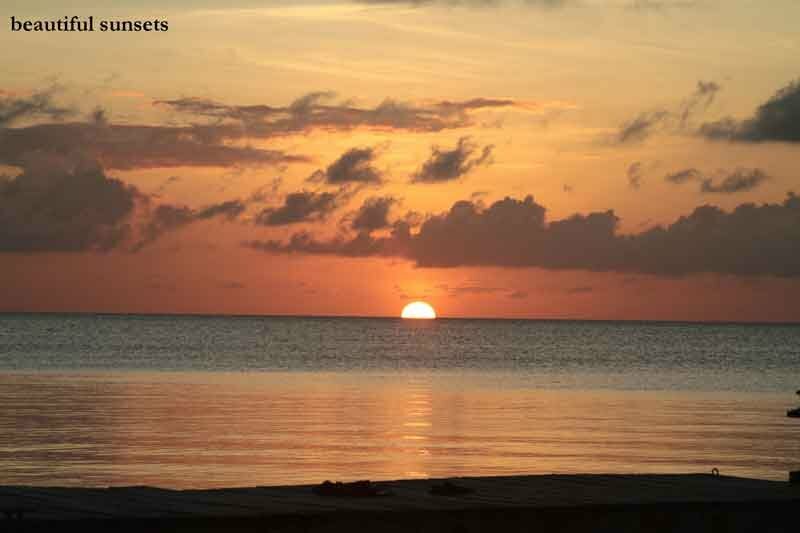 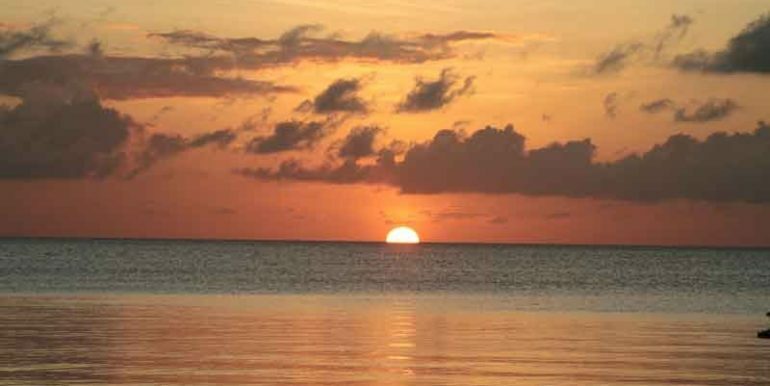 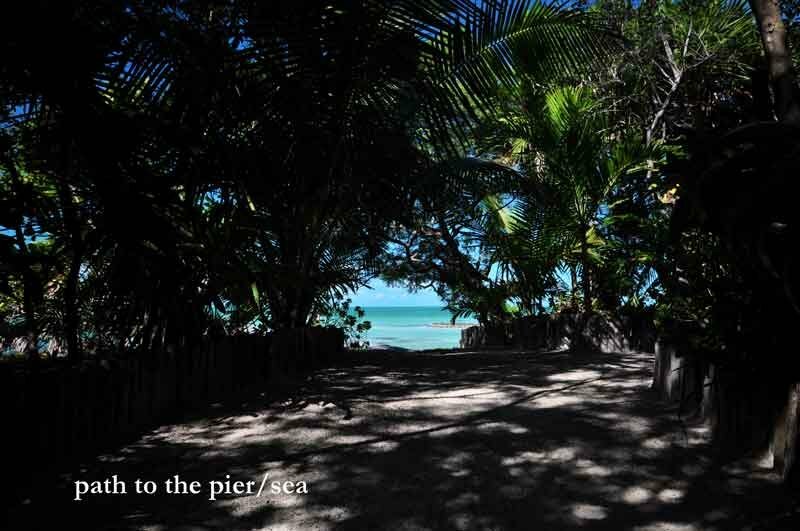 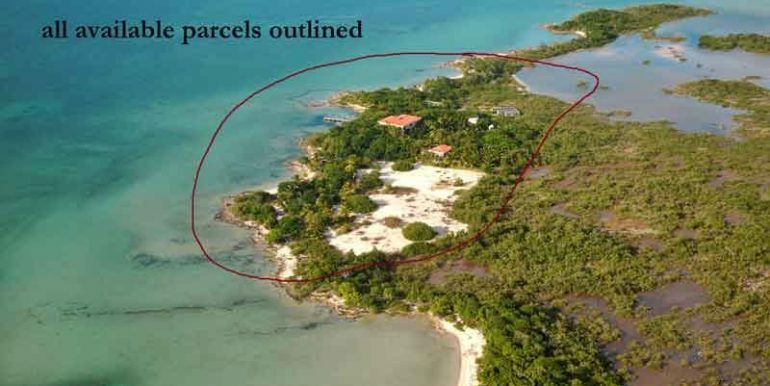 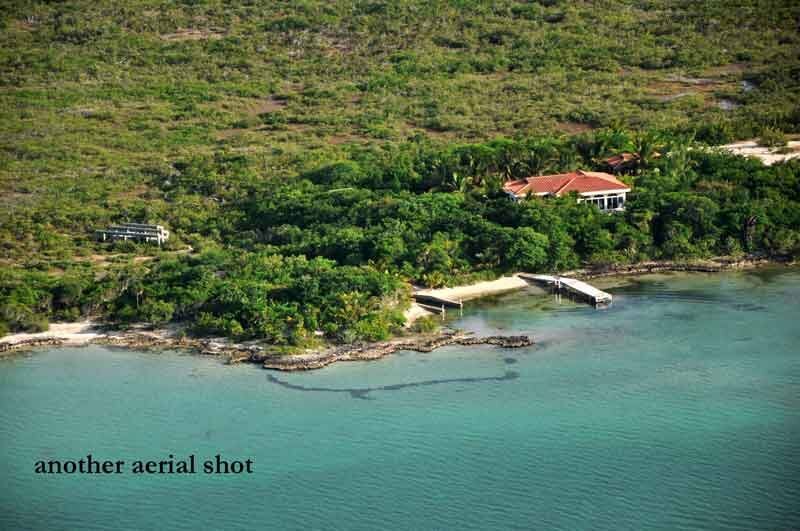 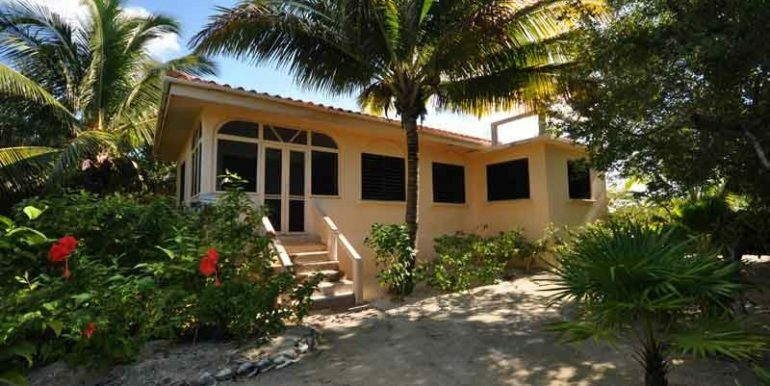 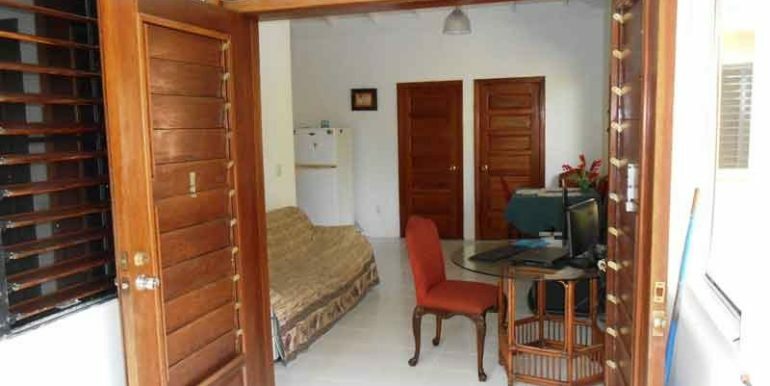 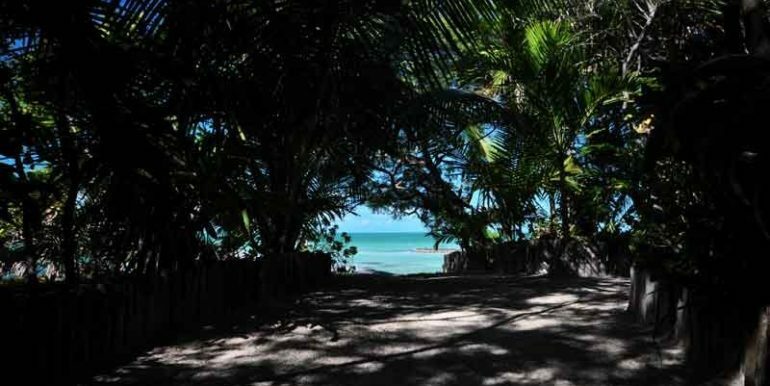 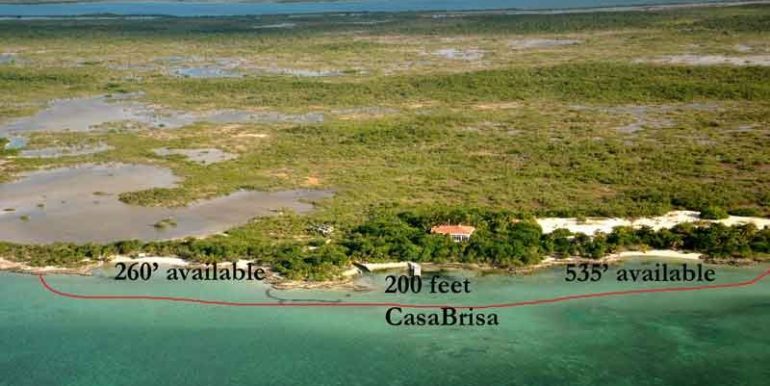 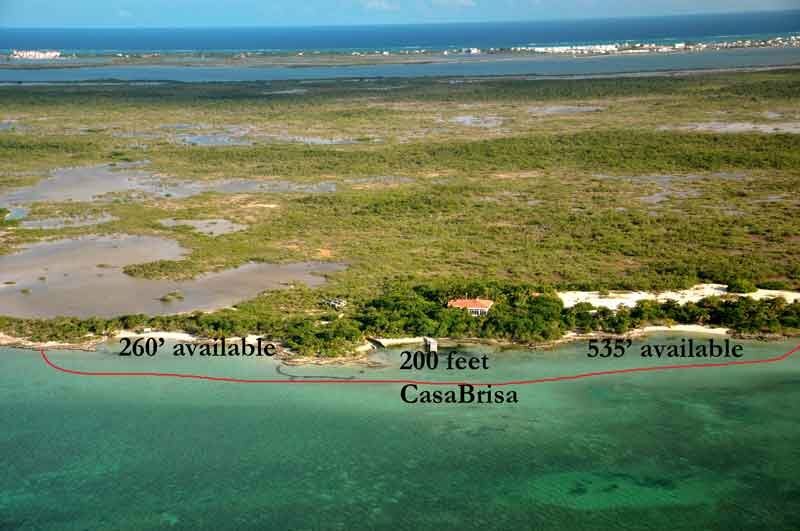 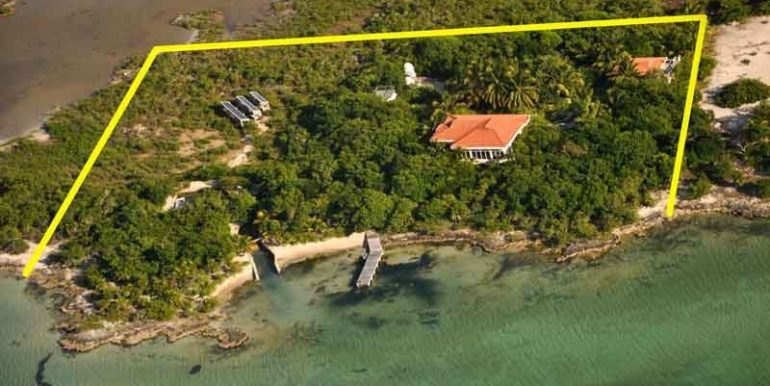 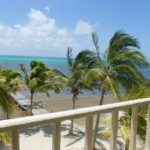 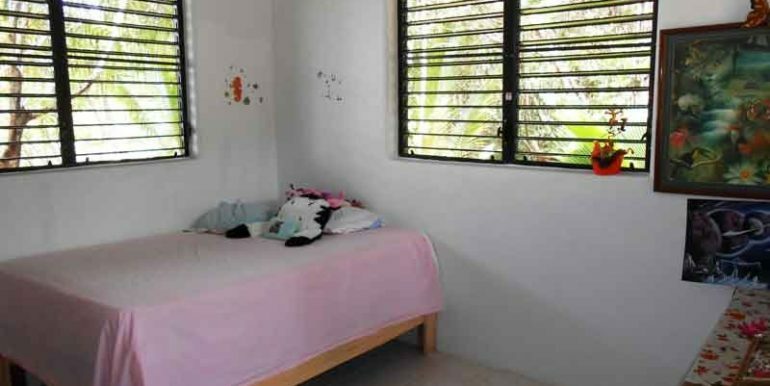 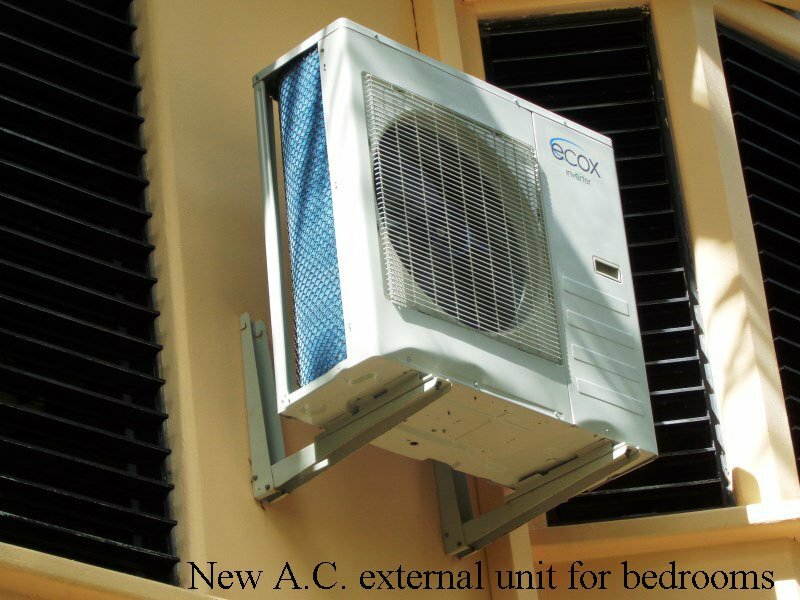 OFF-GRID LIVING BELIZE……THIS PROPERTY HAS BEEN REDUCED TO $1.1 MILLION USD AND HAS A SPECIAL OFFER: MAKE A VERIFIED OFFER BEFORE 31 AUGUST 2018 AND THE PRICE WILL BE $900,000 USD AND THEY WILL ACCEPT 40% DOWN AND NEGOTIABLE TERMS! 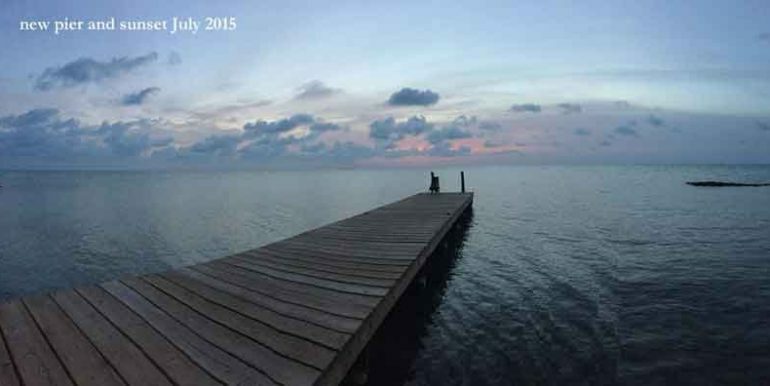 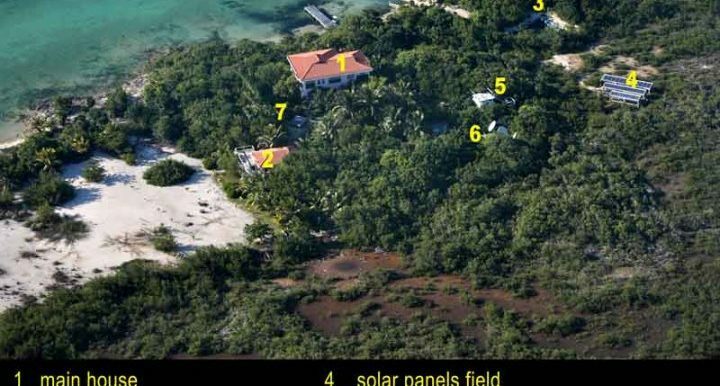 Ever wanted to be totally self-supportive with off-grid living Belize in a private Off the grid Island Estate where all your supplies are only 10 minutes away by boat? 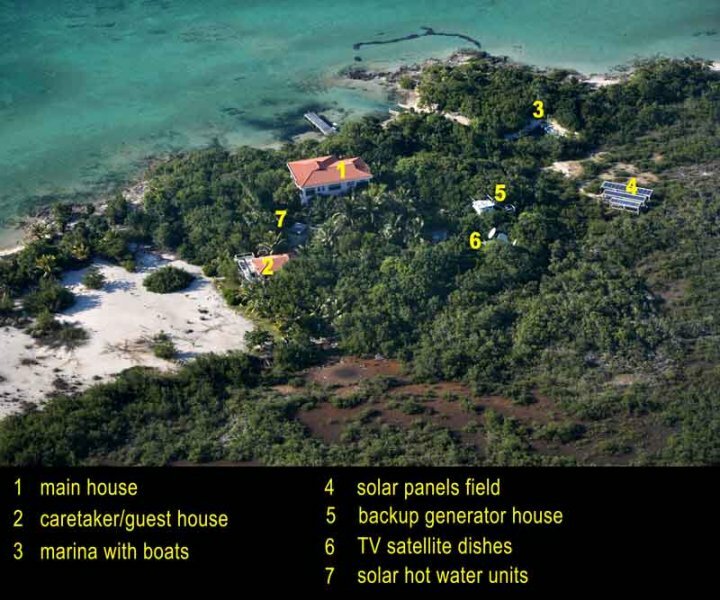 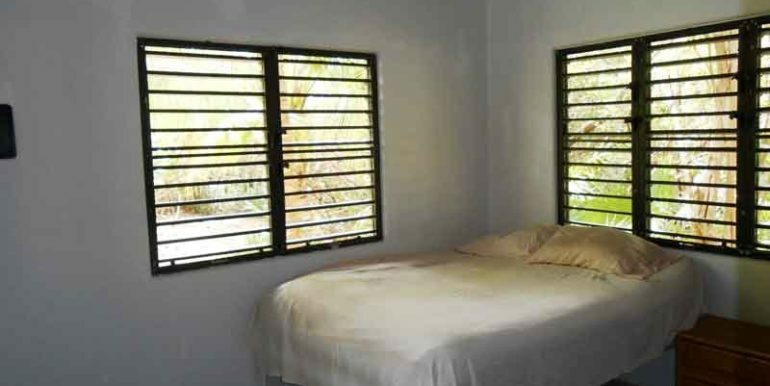 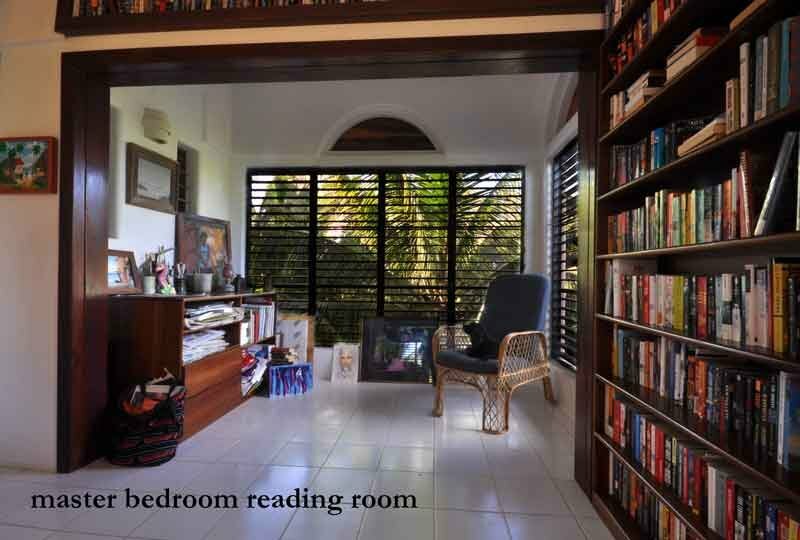 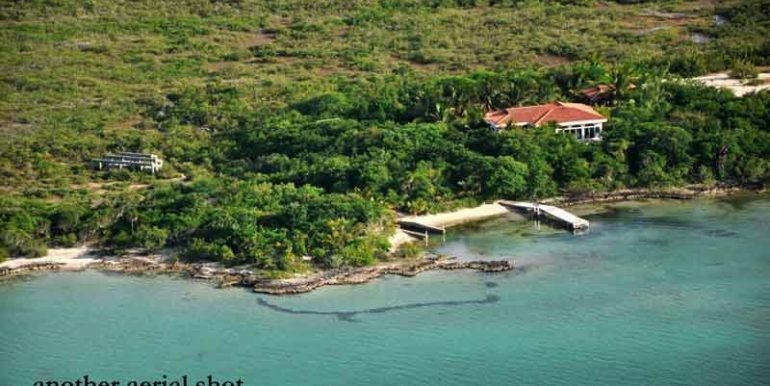 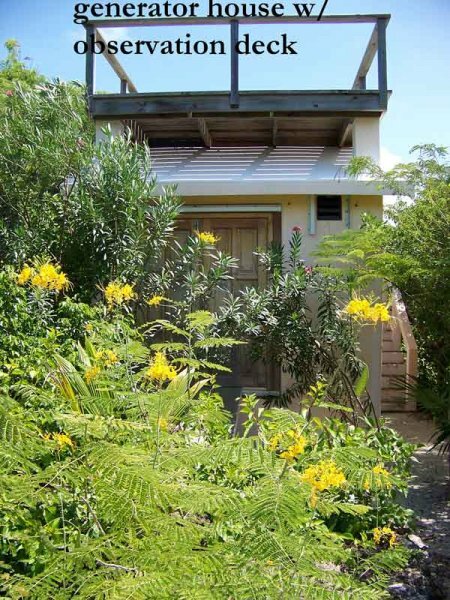 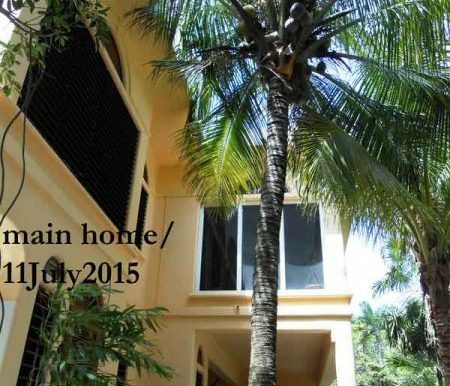 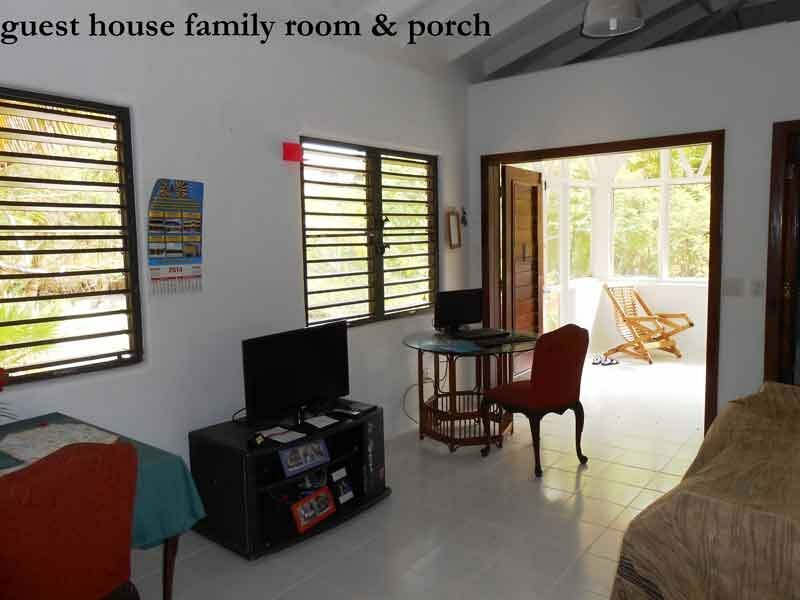 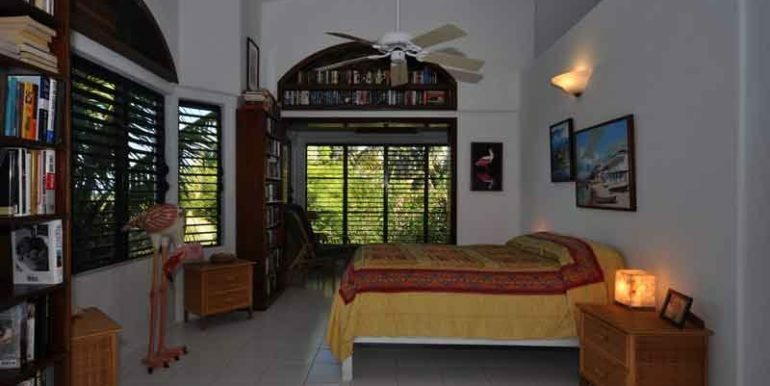 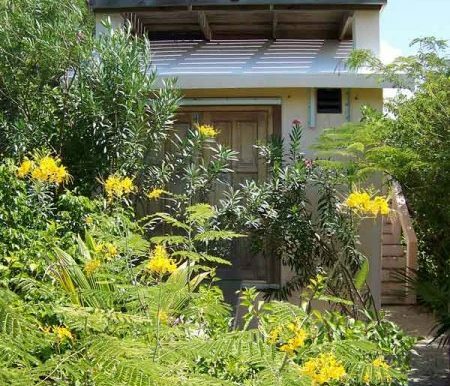 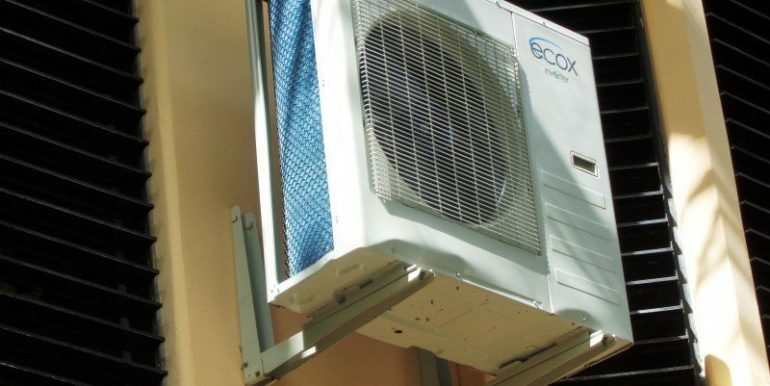 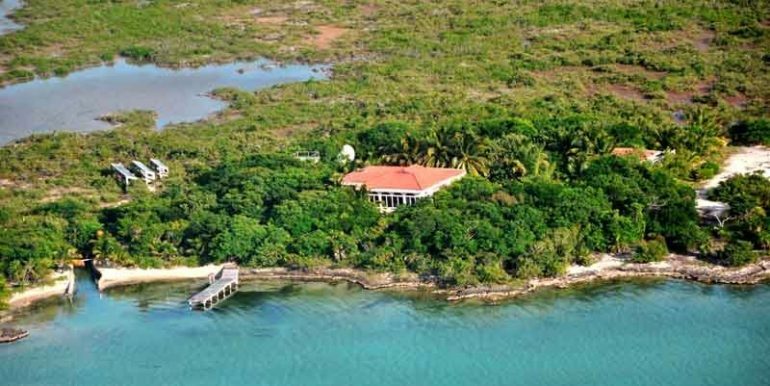 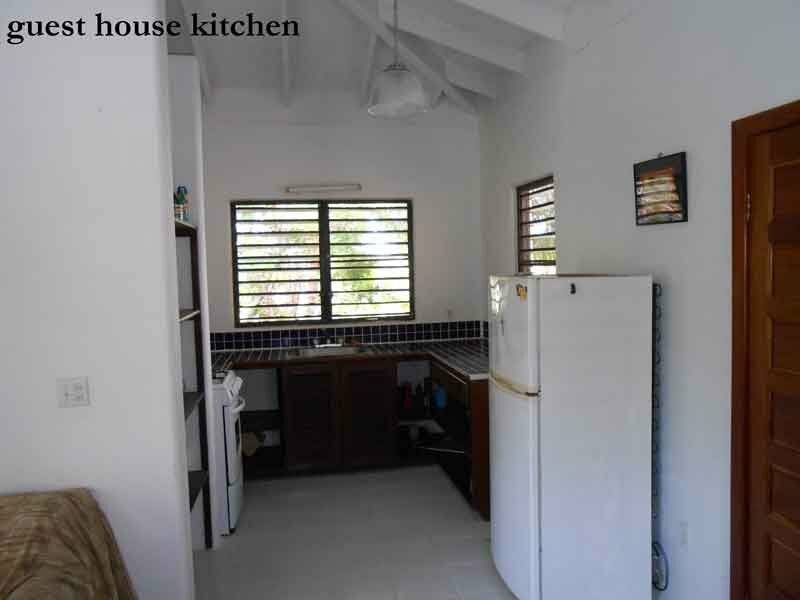 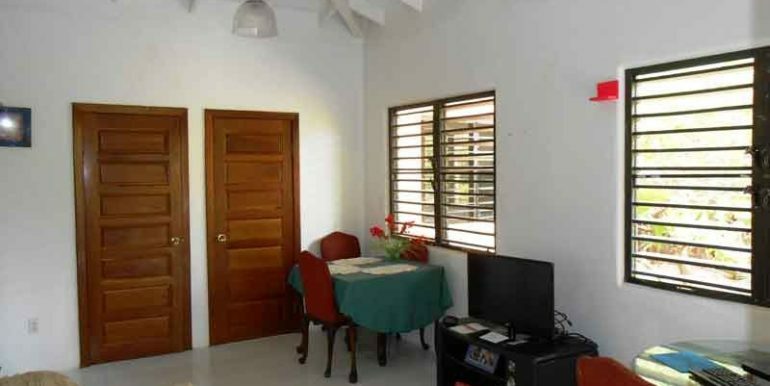 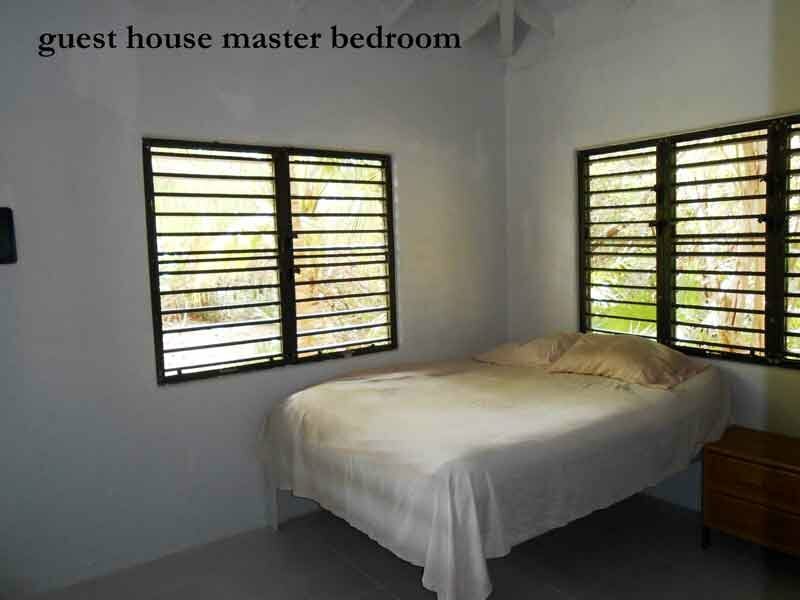 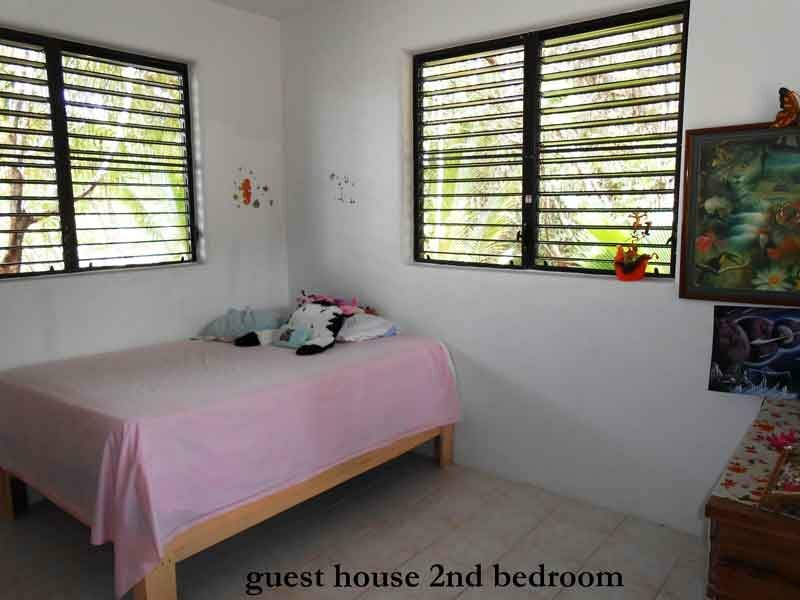 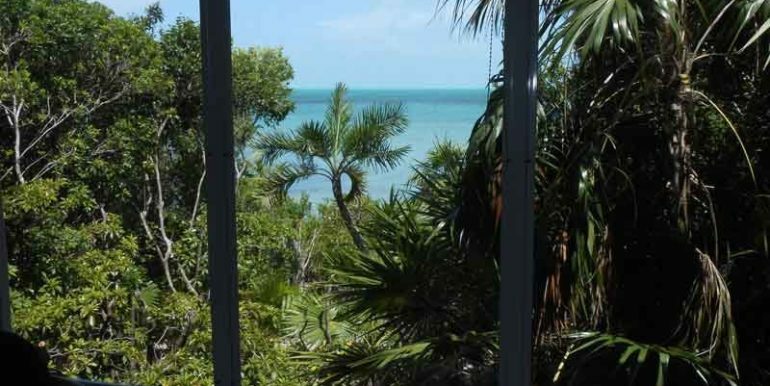 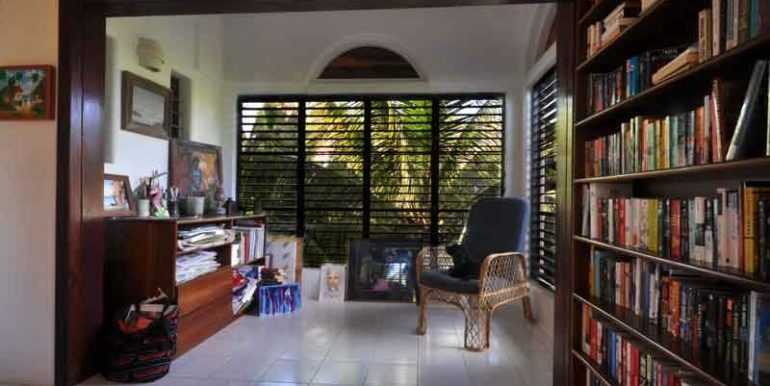 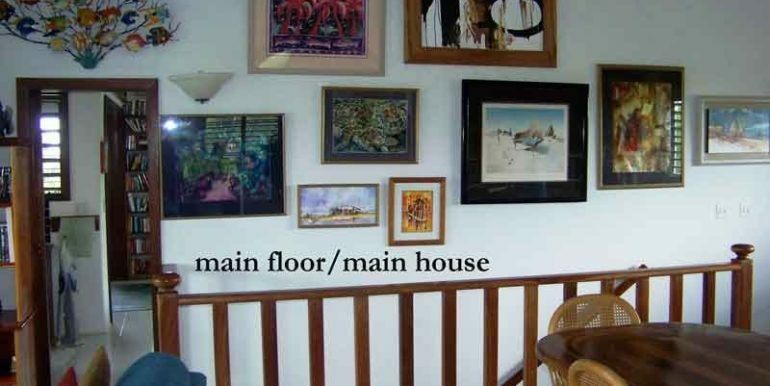 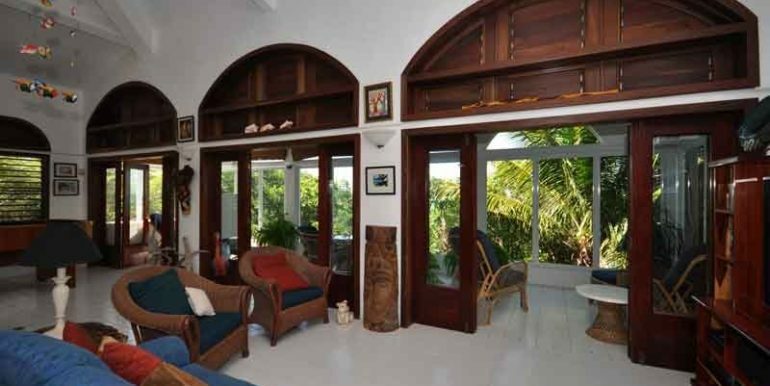 Take a look at this property that is truly off the grid “green” living in Belize. 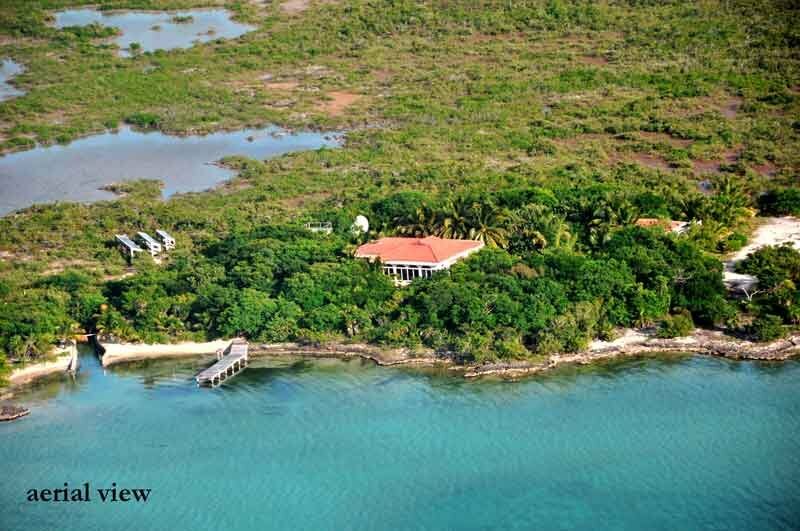 This estate is located on the safe, clean, beautiful sunset side of Ambergris Caye on nearly 3 acres with 400 feet of waterfront. 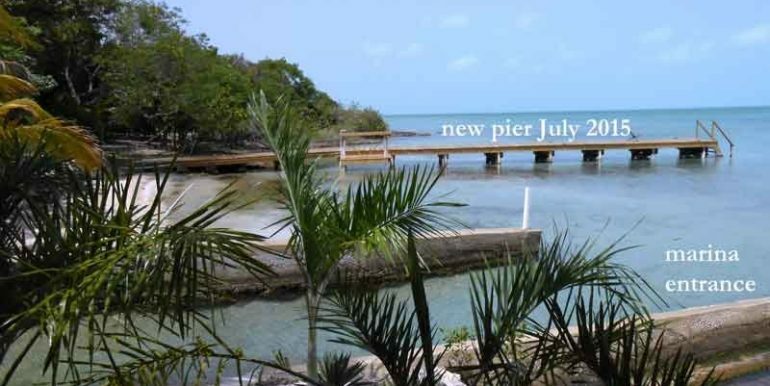 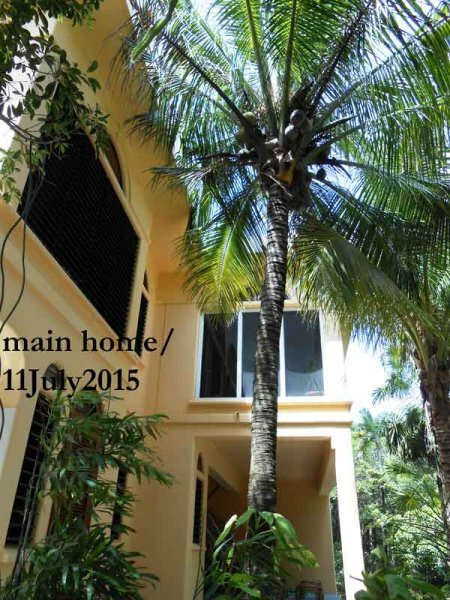 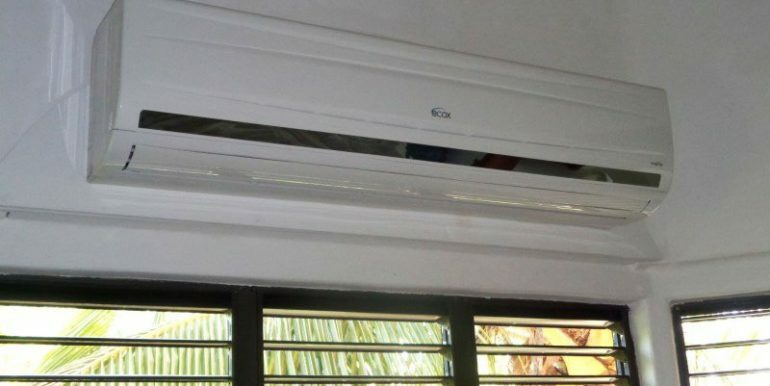 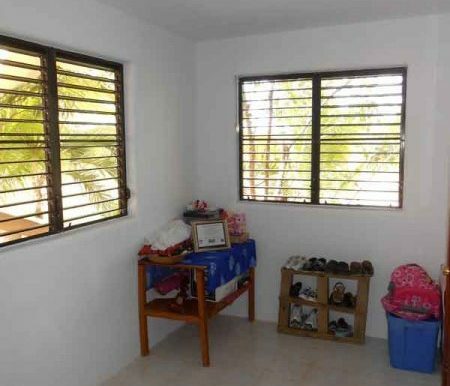 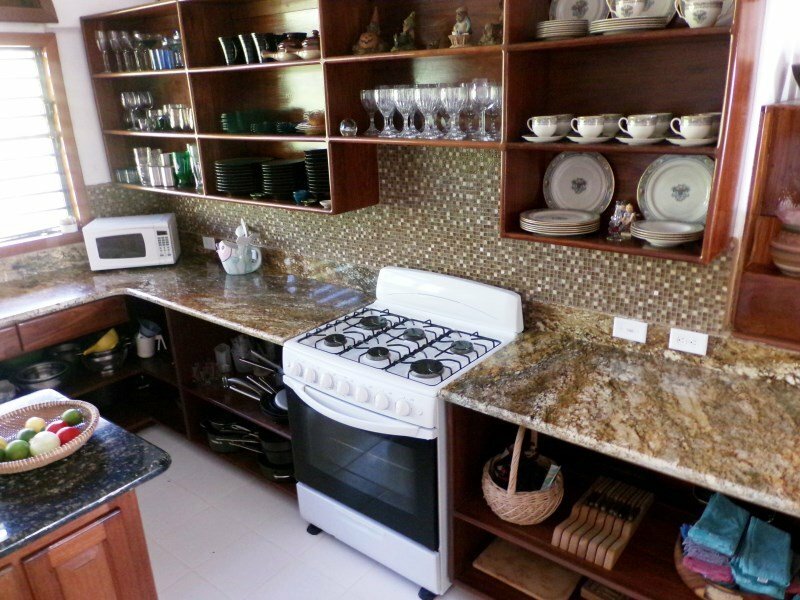 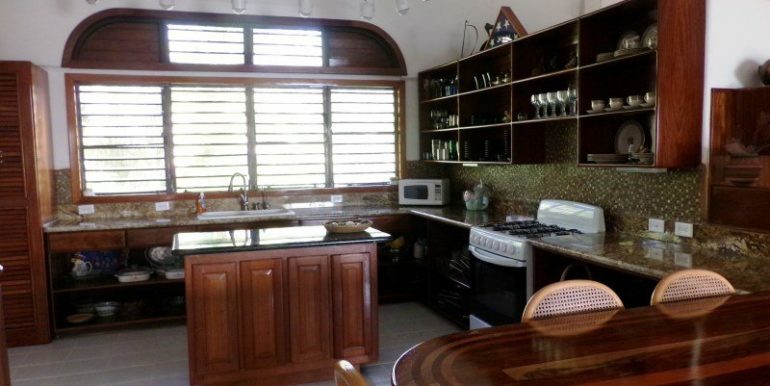 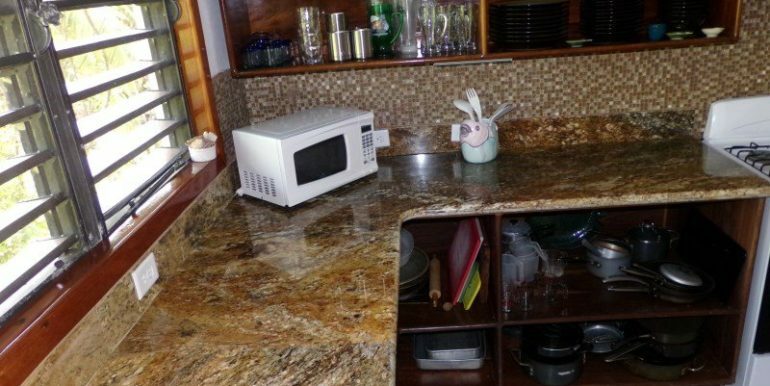 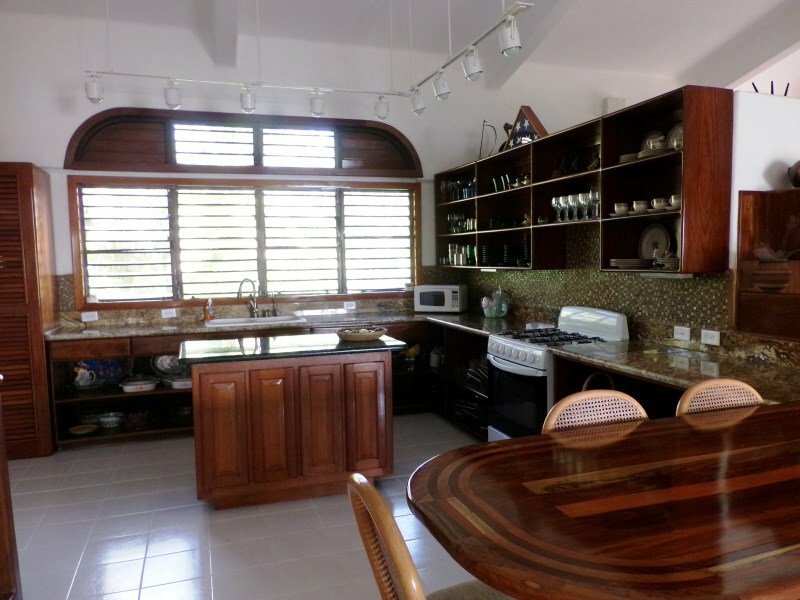 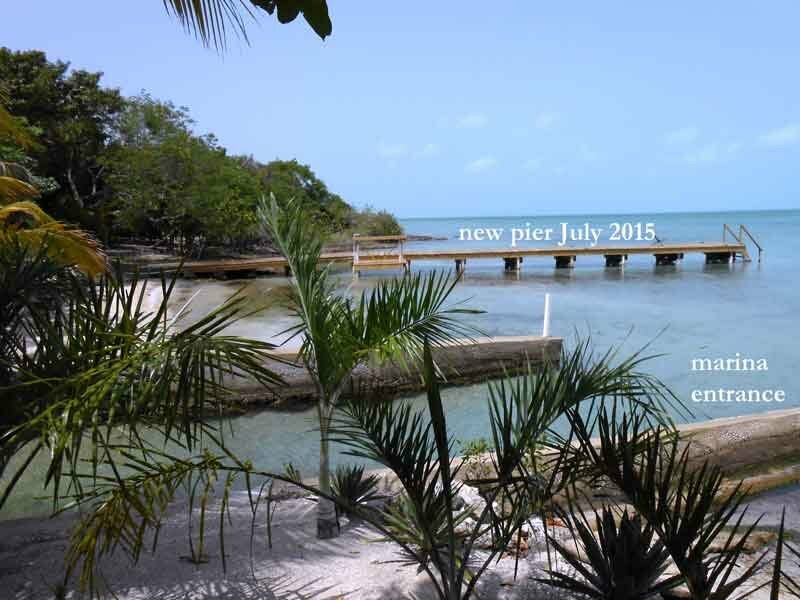 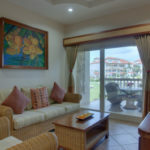 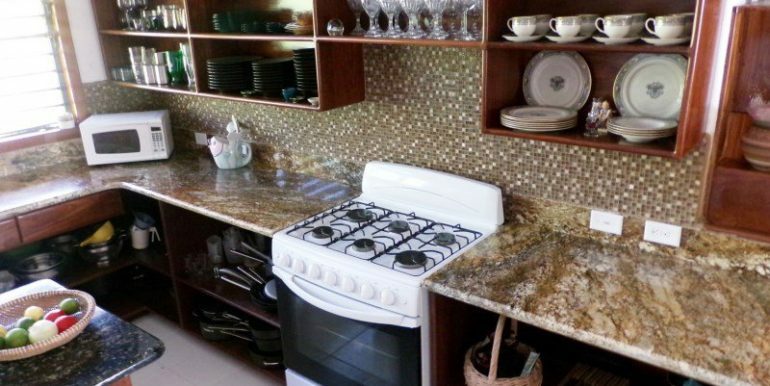 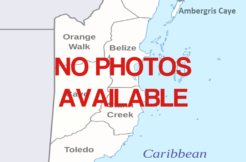 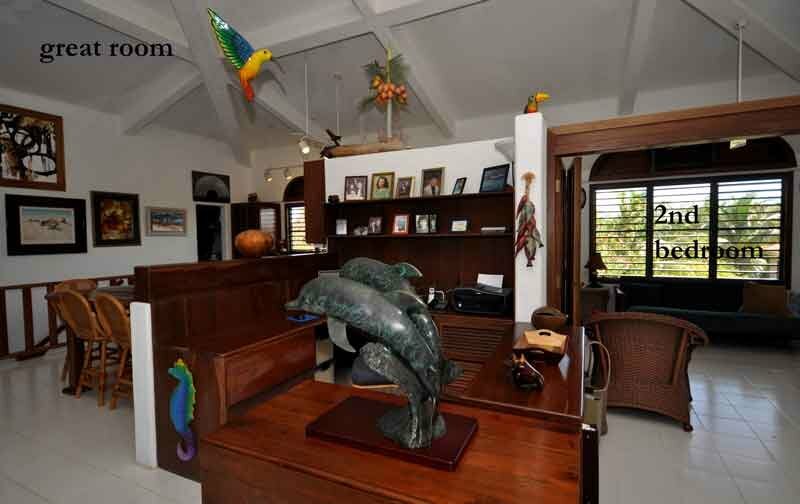 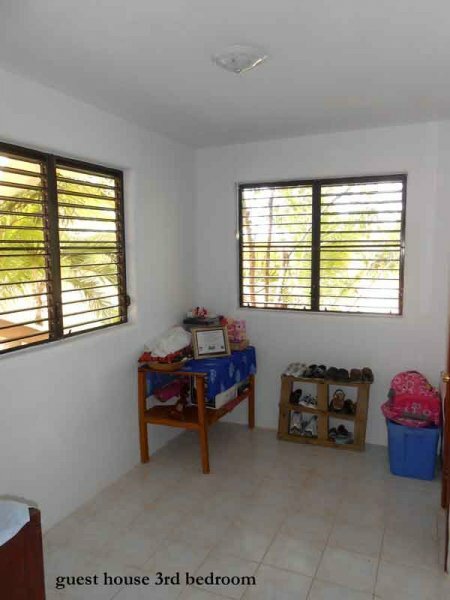 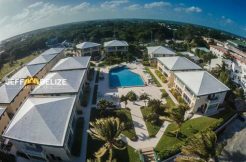 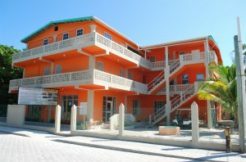 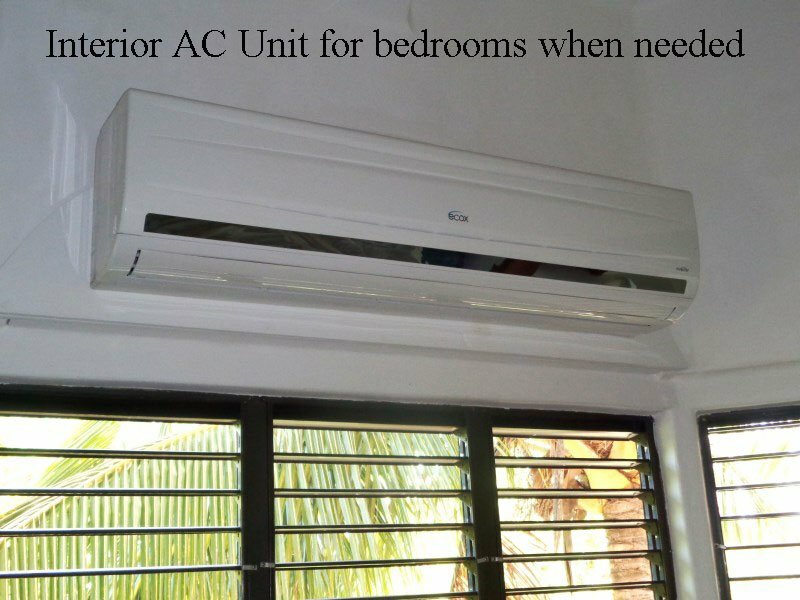 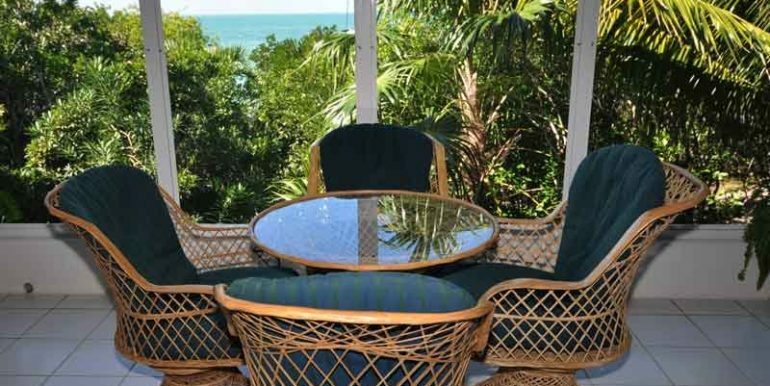 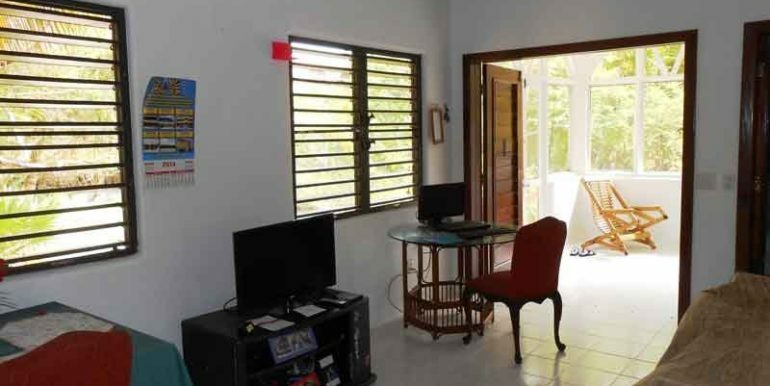 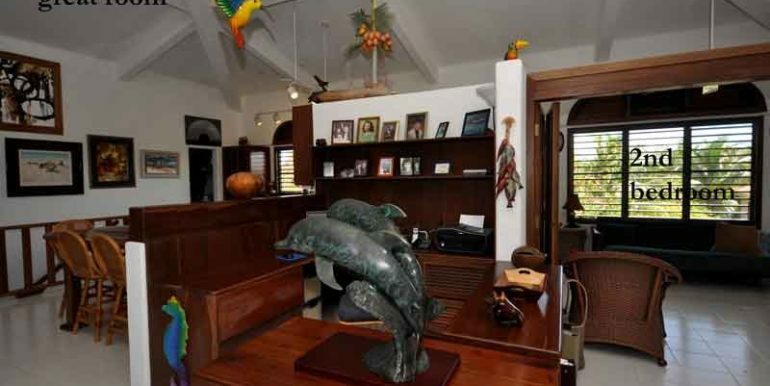 This property has an extremely well built (2) bedroom (2) bath main home, a (3) bedroom caretakers house, sophisticated solar power system, updated in 2015, self-contained water systems, private and protected marina with boats, all completely furnished. 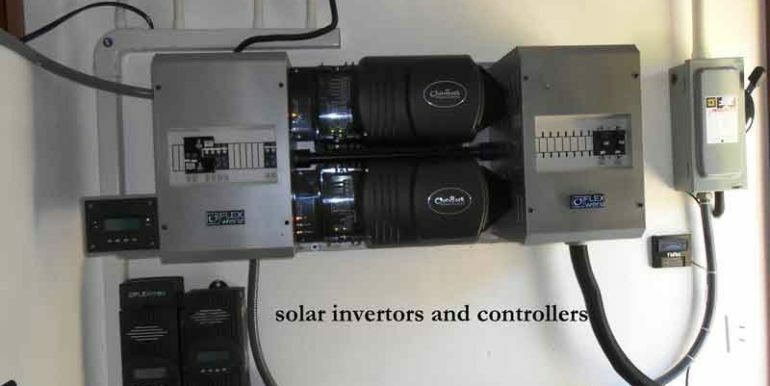 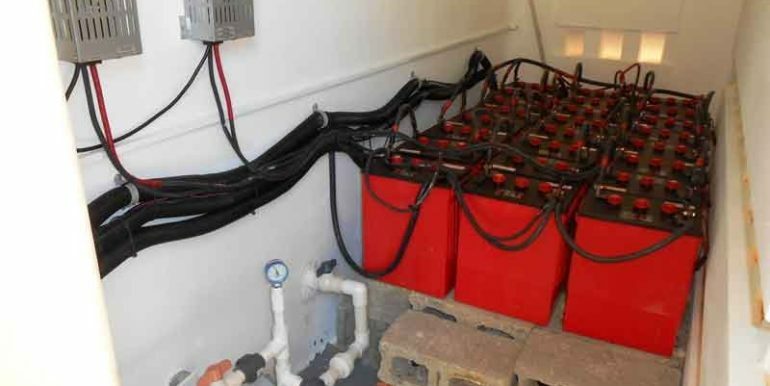 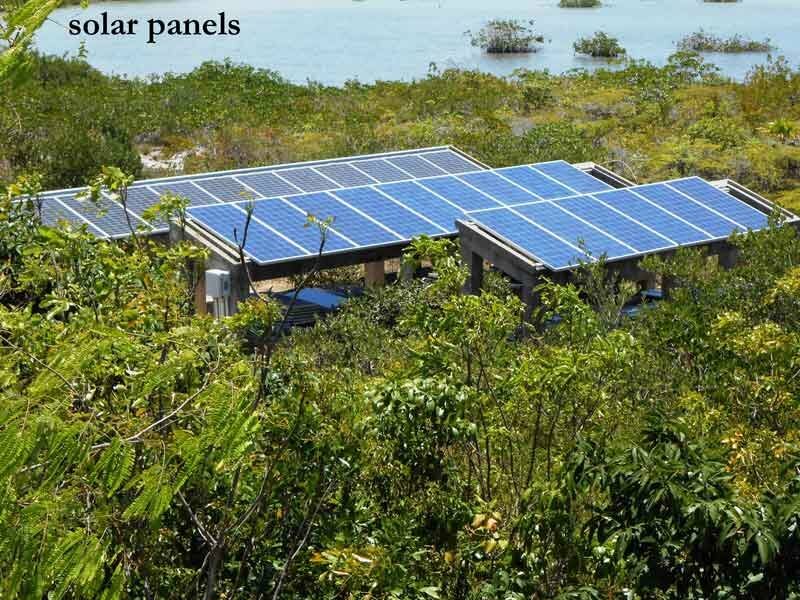 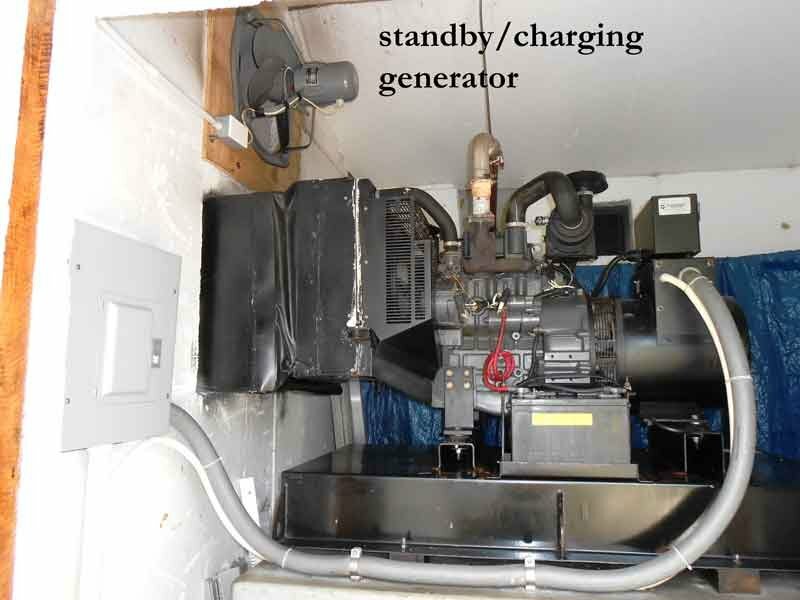 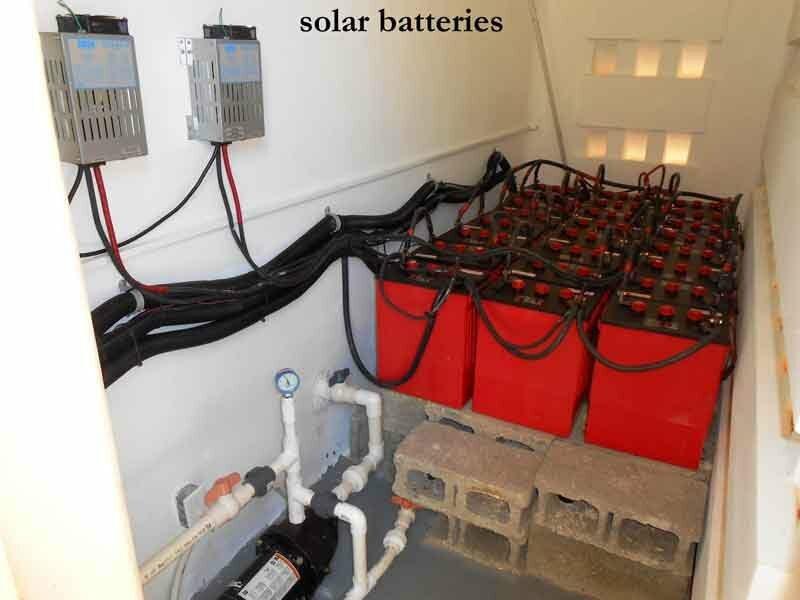 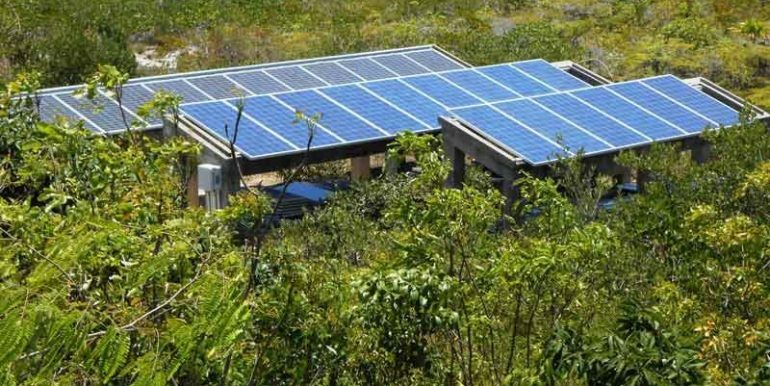 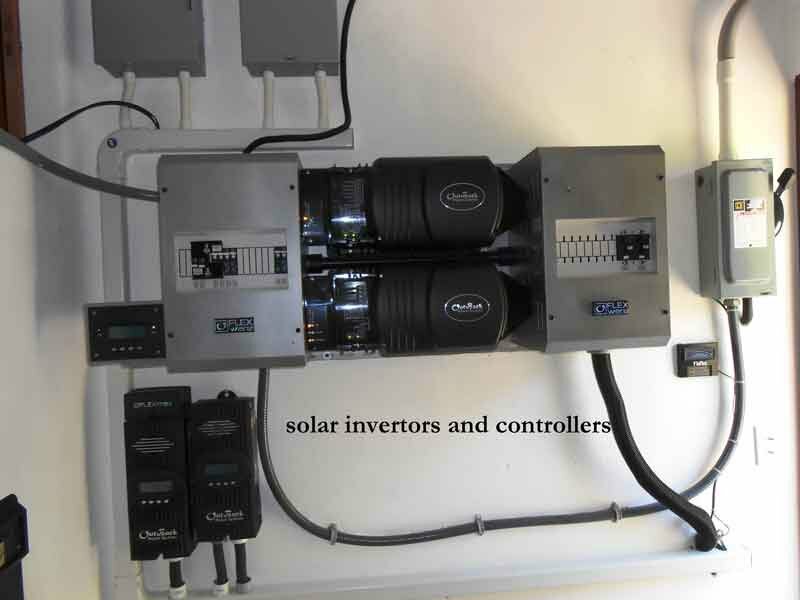 A (27) panel solar power array (15 new April 2015), (2) Outback solar controllers (one new April 2015), Outback inverter/computer (new March 2013), with 12.5 kW generator backup, its own water production with 60,000 gallon water storage, and sewer system, two houses, 400 feet of ocean front, fully appointed for comfortable yet off the grid living. 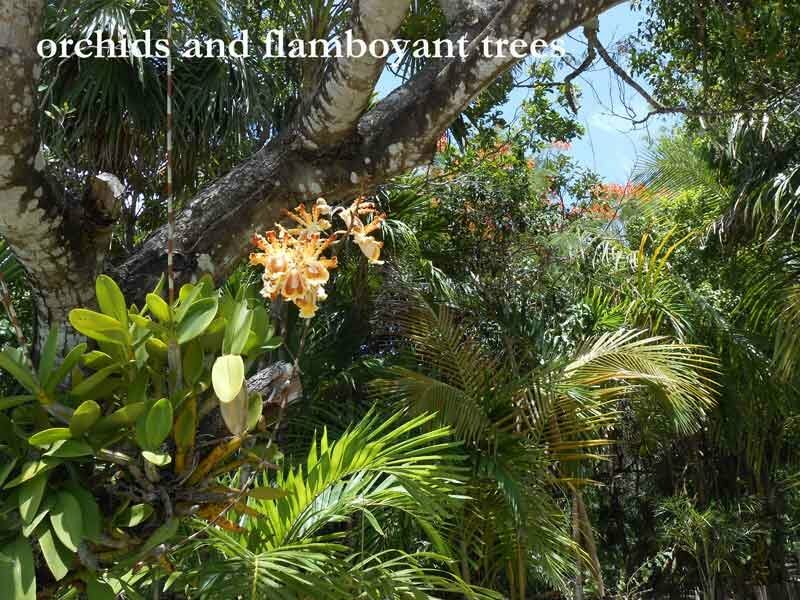 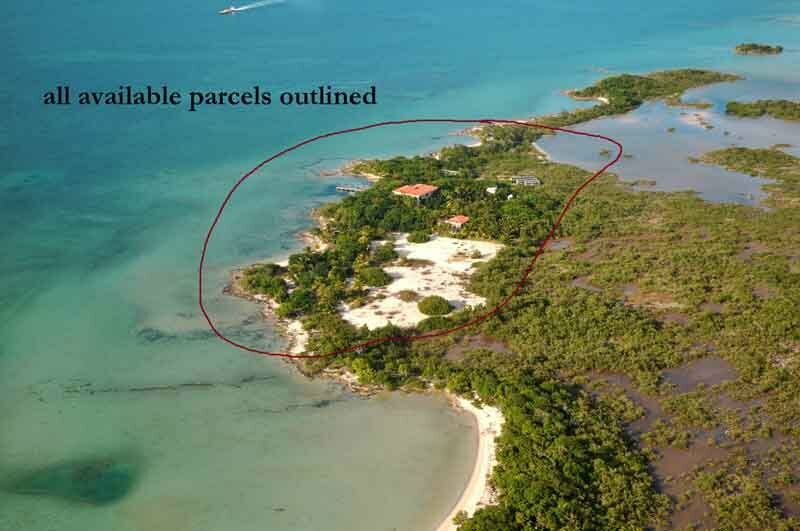 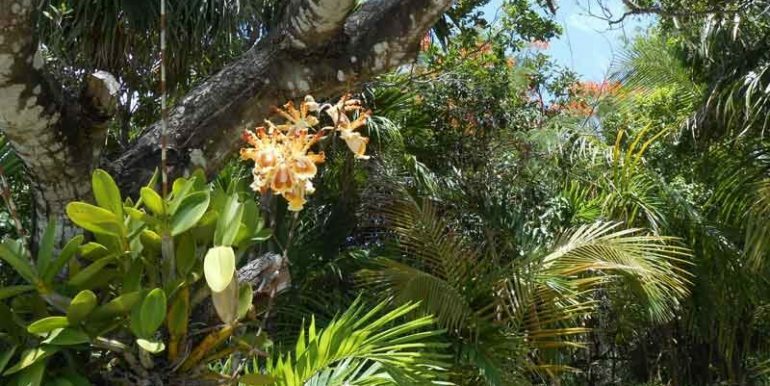 The approximately 3 acres has Mature landscaping with over 200 hibiscus bushes, over 50 orchid plants, over 50 palm trees (including coconut bearing palms) and multiple varieties of indigenous trees and plants to include mangrove, gumbo limbo, poisonwood, ziricote, all on “high” ground for the island the island of Ambergris Caye. 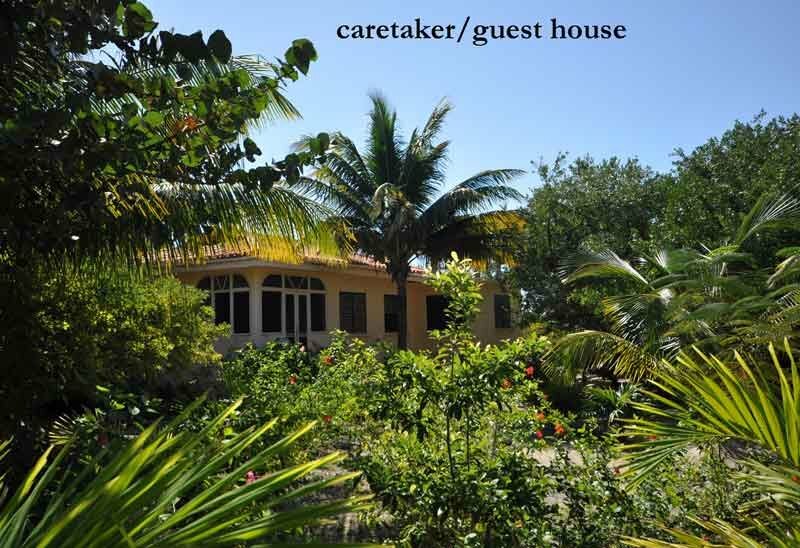 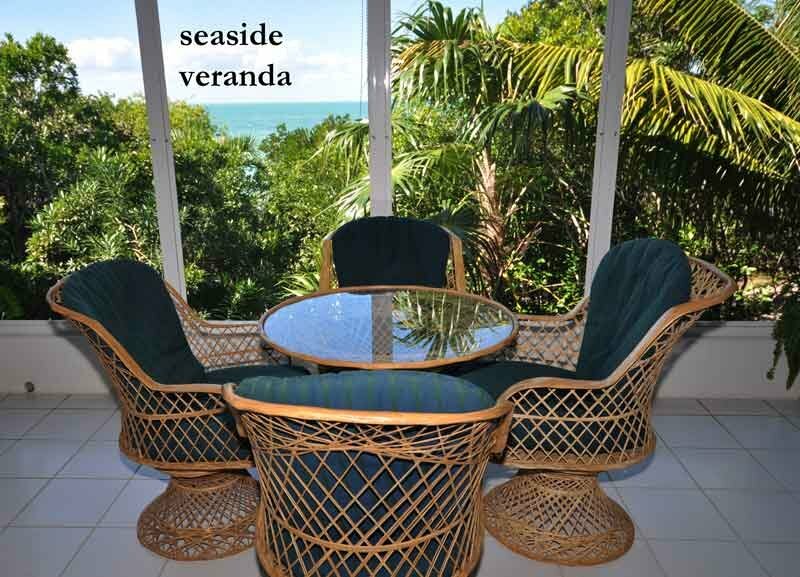 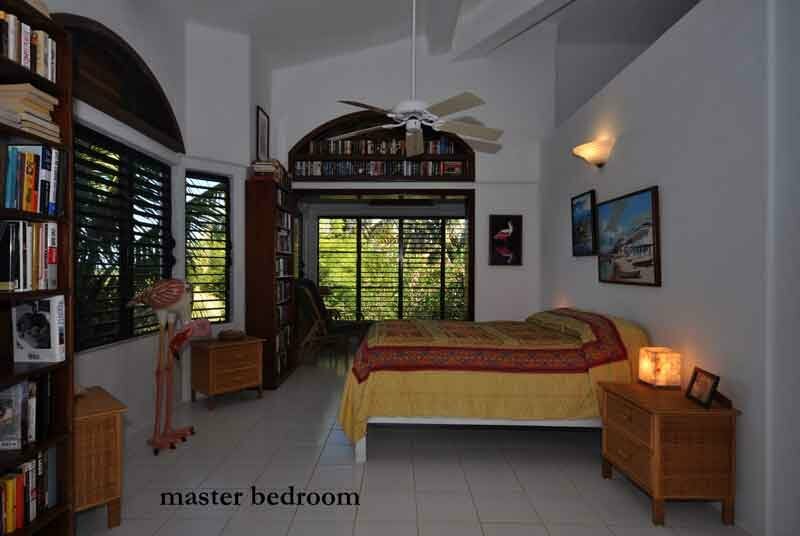 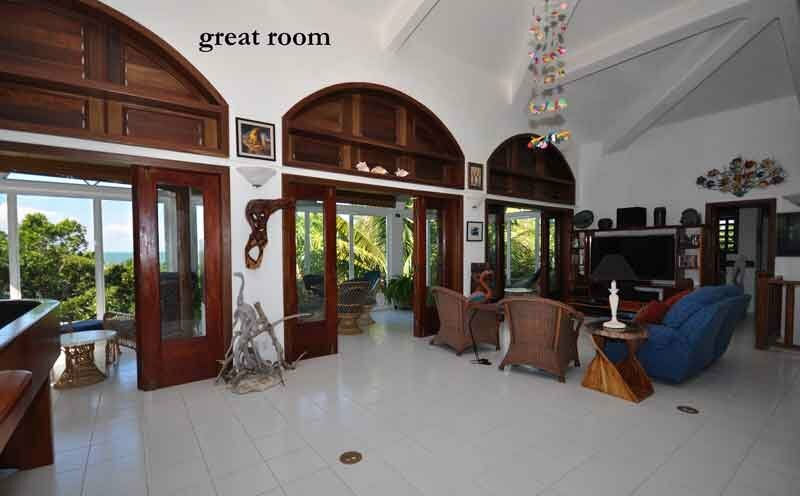 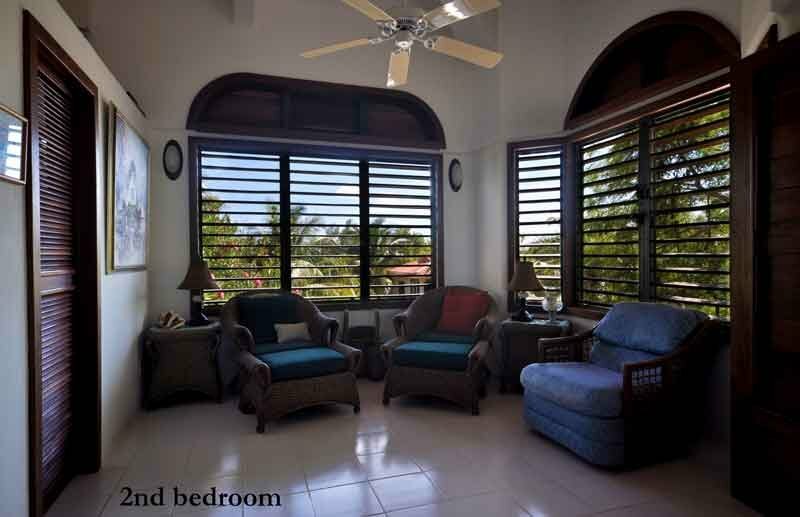 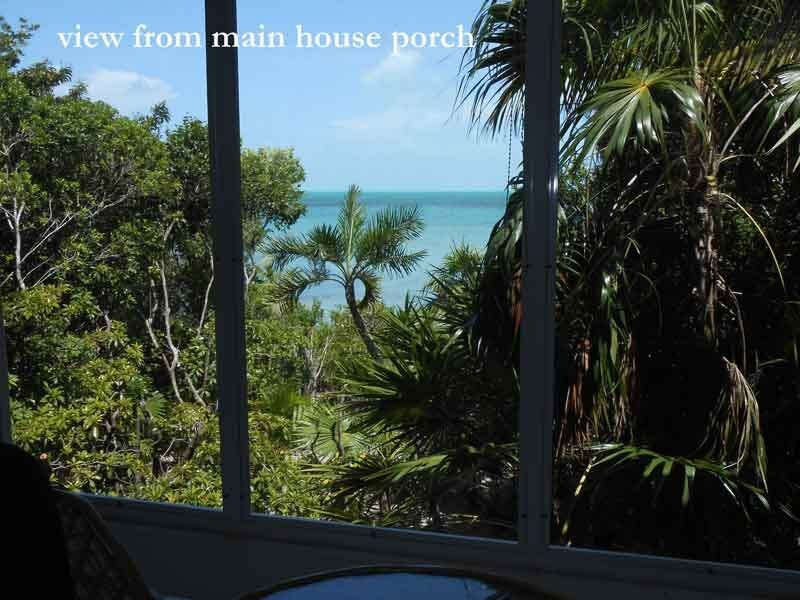 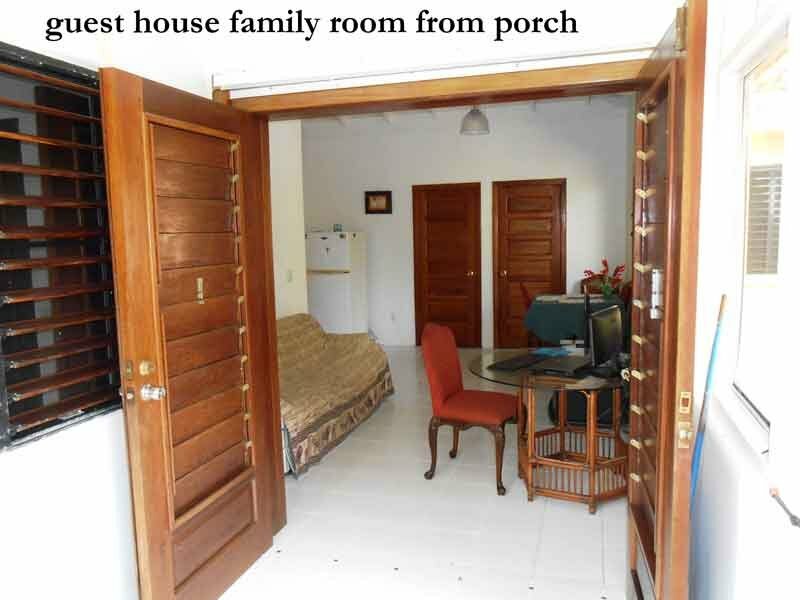 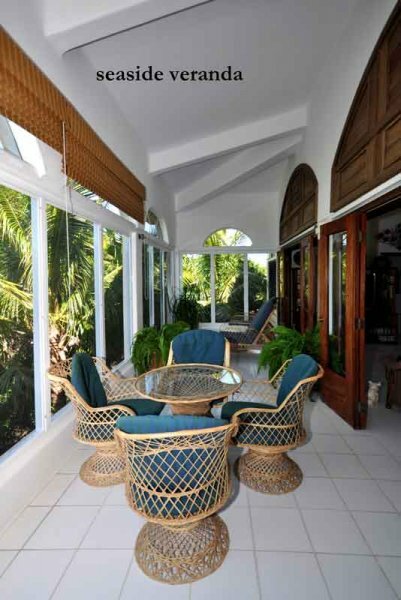 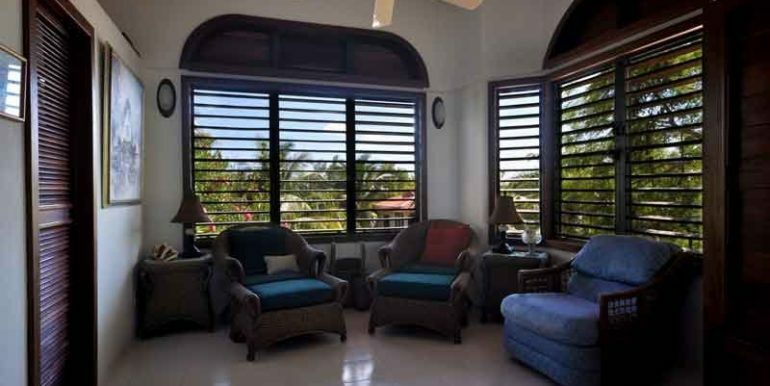 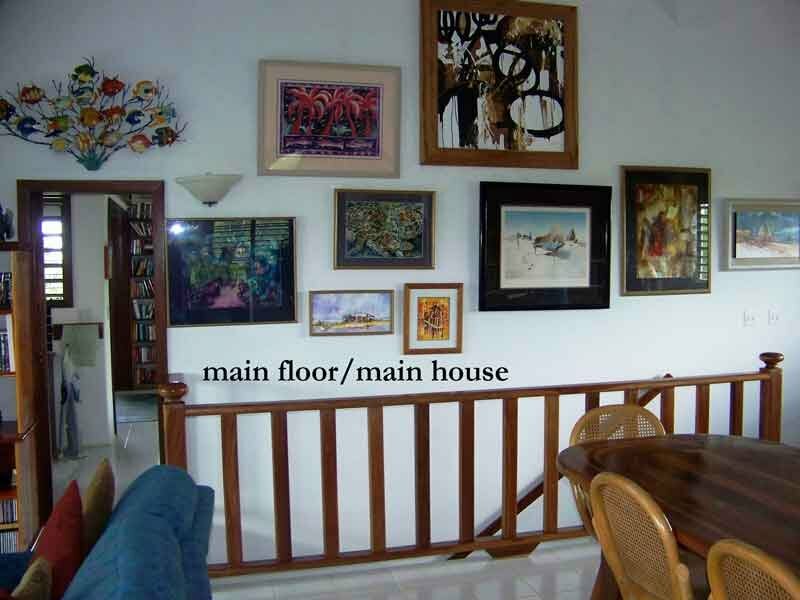 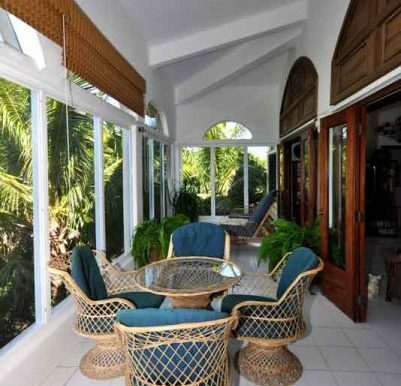 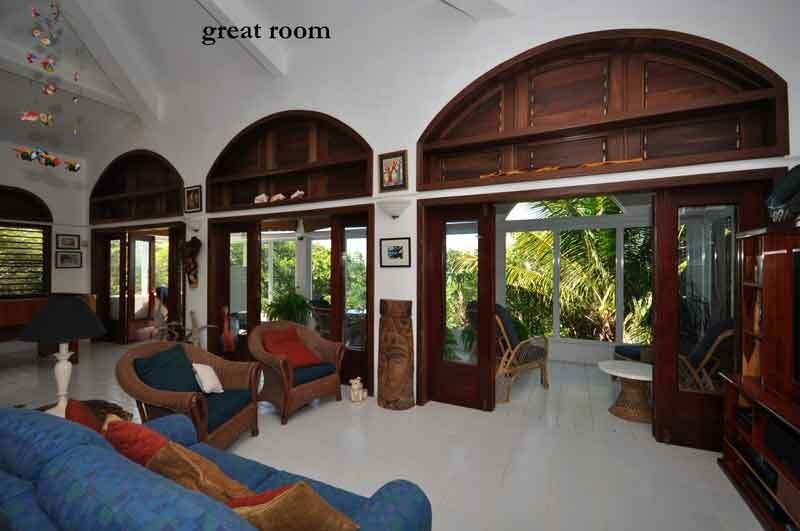 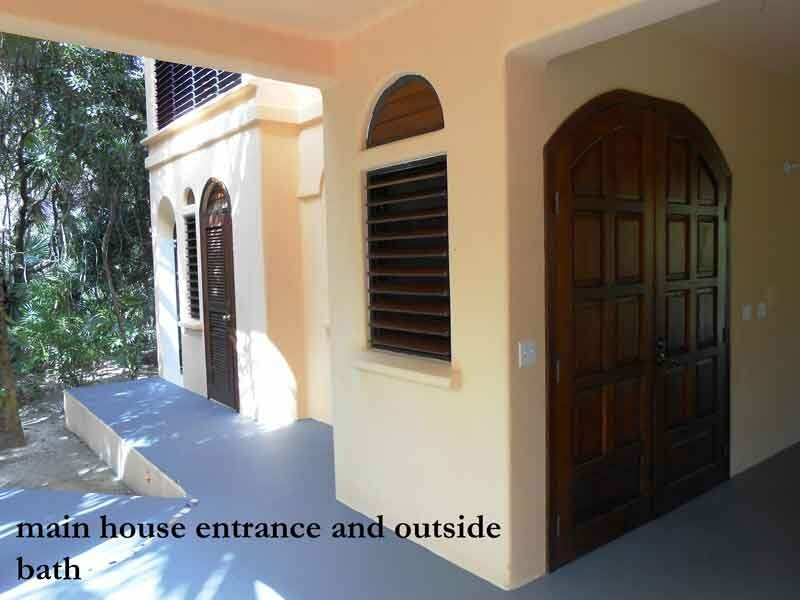 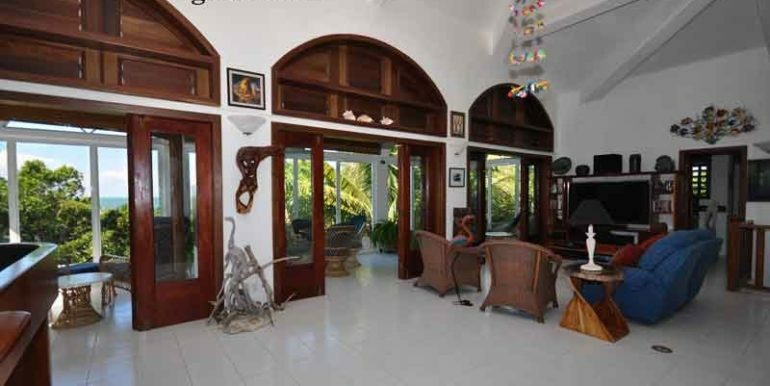 Main house: 2 story; main living quarters of 1960 square feet upstairs with 2 bedrooms, 2 baths (showers), great room, screened veranda, office area, kitchen with island, 76 feet from sea, beautiful sea and vegetation views (“tree house” feeling), vaulted ceiling 16’ high at peak, 2 bay windows, floor tiled throughout, custom hardwood cabinetry throughout, inside staircase, inside downstairs storage room; sold furnished: refrigerator, chest freezer, stove/oven (gas), microwave, 52” HD flat screen TV/sound system, wireless DSL Internet with VPN/routers, 2 ceiling fans, almost all furniture, craps table, computer monitor/keyboard/mouse/printer. 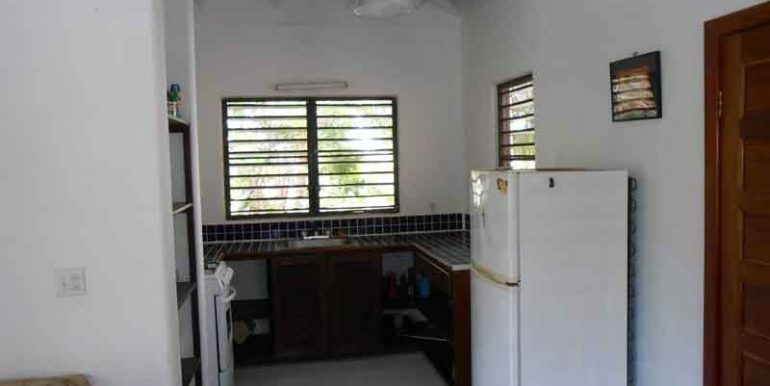 1960 square feet downstairs with storage areas, bathroom, shower, battery bank, solar controllers – inverter – computer, water pumps/pressure tank, butane tanks. 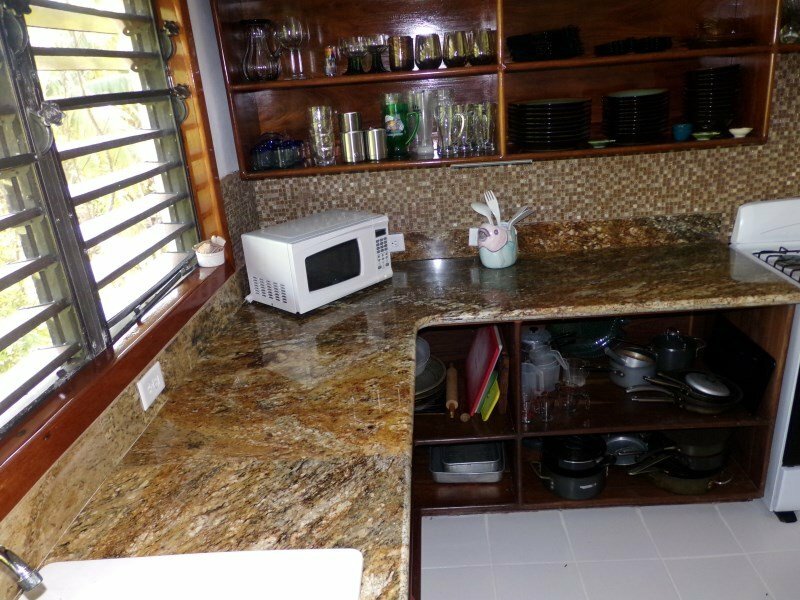 Caretaker/guest house: 760 square feet, 3 bedrooms, 2 baths (showers), family room, refrigerator, stove/oven, porch; sold furnished: refrigerator, stove/oven (gas), small TV, all furniture, water pump/pressure tank. 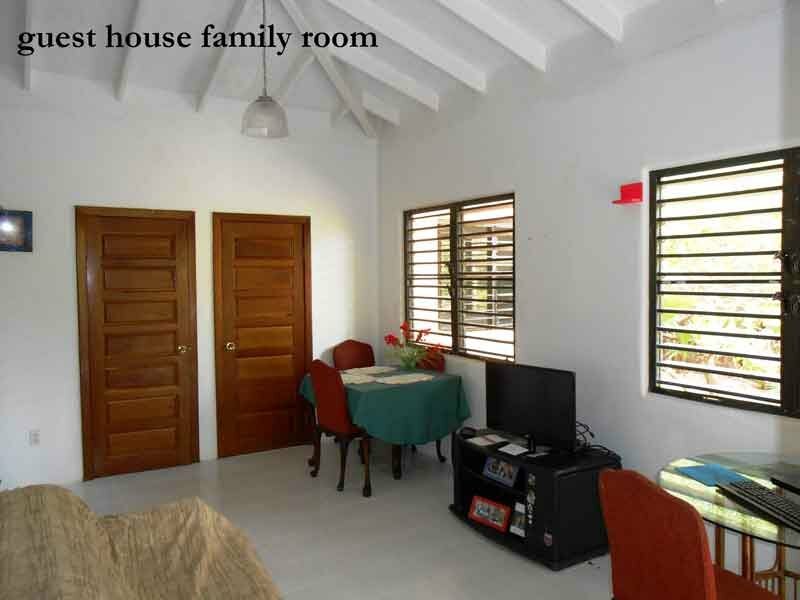 Both houses are constructed of poured concrete with some concrete block built to South American seismic+ standards. 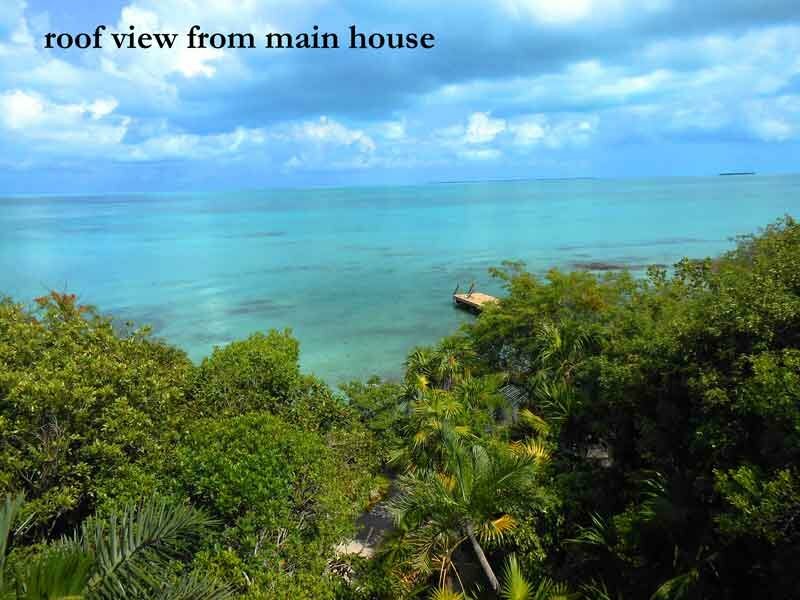 The foundations of both houses are tied into solid bedrock. 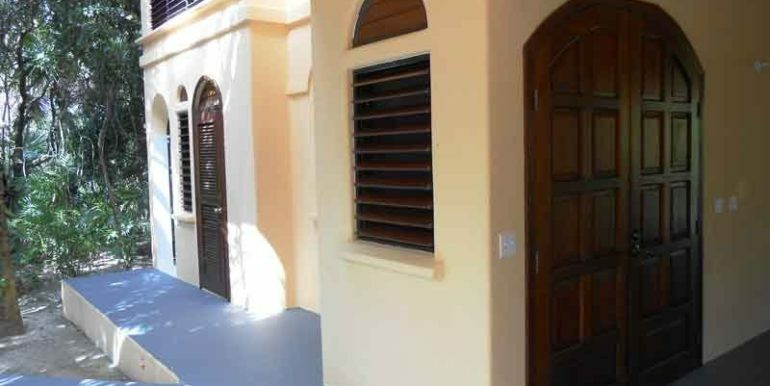 Roofs are 5-inch poured concrete with tile on top for decoration. 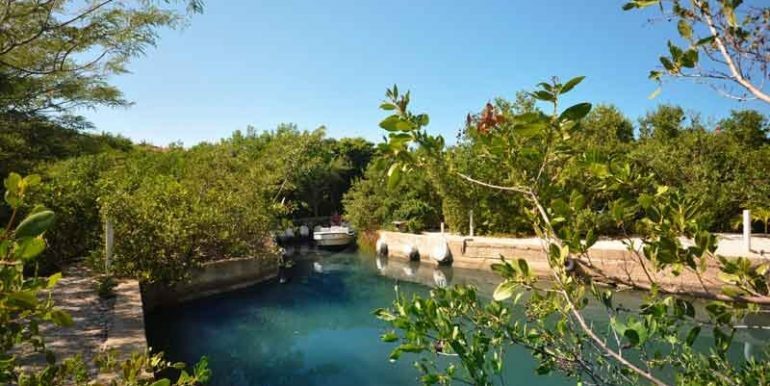 Marina: protected channel and marina for boats. 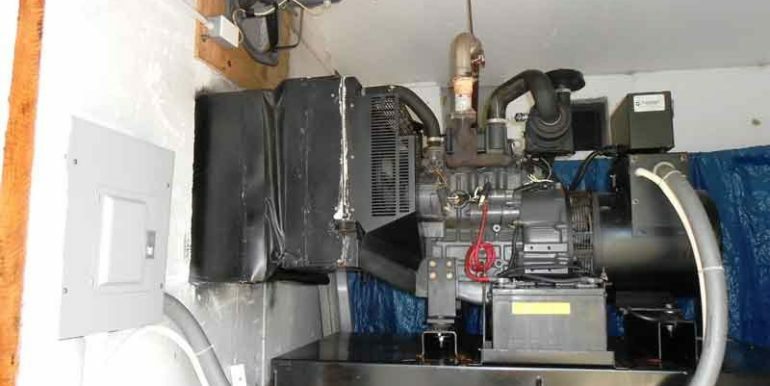 Property comes with 2 custom built 20’ Fiberglas boats, one boat with 90hp Evinrude E-tech outboard and live bait well/console/storage compartments/ 2 automatic bilge pumps, one boat with new 100 hp Yamaha 4 stroke engine, automatic bilge pump. 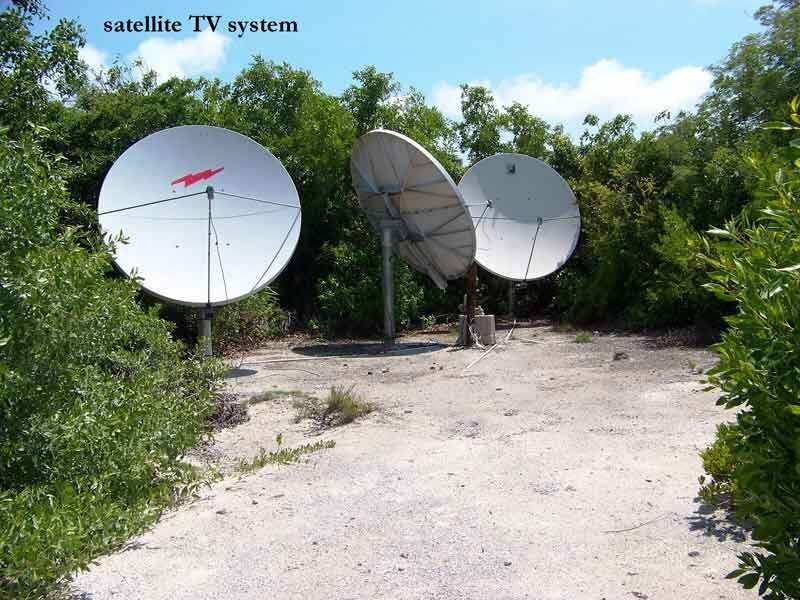 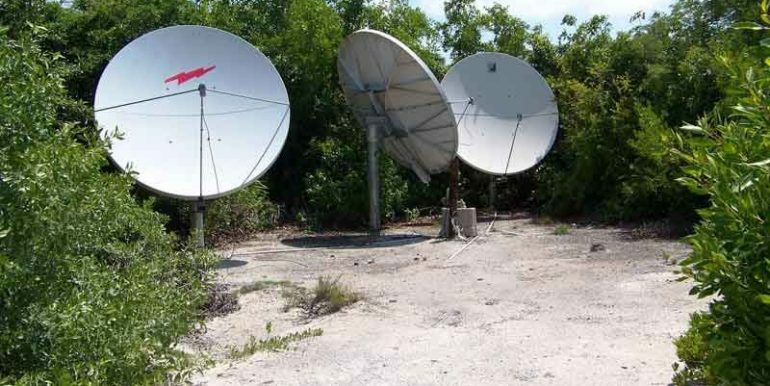 Satellite dishes: three 8’ satellite dishes for television, two 6’ satellite dish for the Internet. 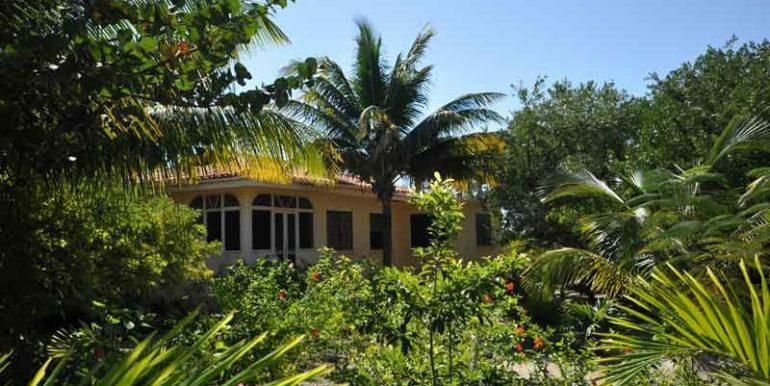 Property taxes: $300.00US per year.